Before the wines were released I had listed the Pagodes as a possible buying tip, but with this crazy price I will have to take it from that list. In all actuality it doesn't deserve to be sold, and I learned that in the meanwhile the wine is offered at lower prices, implying that it's indeed a tough sell. Anyway, the coming week some big releases are expected, which I will tweet, including the comparisons with the years 2008, 2005 and 2000. 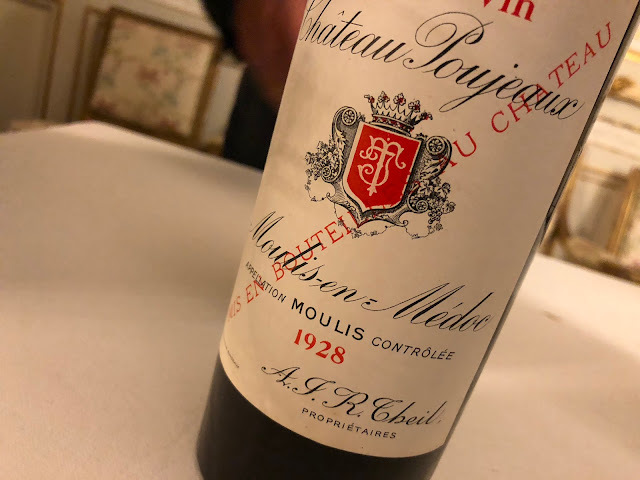 I should mention fellow blogger Gavin Quinney, who said the picture is not complete when the price comparison is limited to the two last vintages only. Then for something completely different. I would like to promote the new Dutch wine magazine WINElife. I think it's a very beautiful new magazine, with interesting articles, and I happen to contribute to this magazine. But there is one thing that bothers me a bit, and the good thing about a blog is that I can use it to express these bothers, or even: to correct what is not perfectly correct. The issue: above an article that I wrote about Bordeaux 2009 the editor has placed the title "Special, but not great." If you read the article you can see that this is not an accurate heading. It should have read "Special, and sometimes great." No big deal, but I wanted to have said this. For the record. For the rest my advice to all Dutch wine lovers is to subscribe to this beautiful magazine! At last, with Bolomey Wijnimport we had a lovely tasting and dinner last Tuesday with two special guests from France, the biodynamic winemakers Philippe and Françoise Gourdon from the Saumur region, and Nicolaas Klei, the famous Dutch wine writer who has been a source of inspiration for me for over the last 10 years. For Dutch readers: if you buy Elsevier this week, you find an article by Klei about the irresistible Ze Bulle Zéro Pointé's from the Gourdons. And if you can't contain yourself... you can even buy these beauties online! Nice blog. Being a wine lover, I enjoyed going through your blog. keep on posting.